IK4-IKERLAN is a non‐profit technology research centre located in Mondragon, in northern Spain. IK4-IKERLAN’s research areas are divided into three technological specialisation units: 1) Electronics, Information and Communication Technologies, 2) Energy and Power Electronics and 3) Advanced Manufacturing. Since 1974, the organisation’s purpose has been to deliver a broad set of technology-based solutions to businesses in order to improve their competitiveness and to foster sustainable social and economic environment. Thanks to a unique cooperation model which involves technology transfer, in-house research and high-quality staff training, IK4-IKERLAN operates as a trusted technology partner for major clients in Spain. With a long background in European projects, it coordinates the ETEKINA project. It has substantial expertise in developing technological solutions for energy efficiency in domestic, transport and industrial applications. IK4-IKERLAN also helps develop electricity and thermal energy solutions for the industrial and transport sectors. For the ETEKINA project, IK4-IKERLAN evaluates and analyses the waste heat from non‐ferrous use cases. In addition, it will be responsible for designing the plant balance of the heat recovery systems to ensure the same quality obtained before the implementation of these systems. IK4-IKERLAN will also develop a decision tool model to identify the appropriate applications and to assess the replicability of the solution. Finally, IK4-IKERLAN will help set out the project’s exploitation plan. Fagor Ederlan manufactures components for the automotive sectors. It is one of Spain’s largest foundries, with vast experience in RTD projects, and which considers innovation as the way forwards. Fagor Ederlan oversees all the group’s business units and associate companies, covering the manufacture of suspension, brakes, engines and transmission. The group offers a broad range of comprehensive solutions across each business line. The group has also developed internationally with its production plants in Brazil, Slovakia and China, and with business projects within NAFTA and China. Together with EDERTEK, the group’s R&D team has a broad experience in innovation projects, many of which have already been co-financed by Spanish public bodies. This has enabled the Fagor Ederlan to develop an efficient methodology involving experimental design and final assessments. For the ETEKINA project, Fagor Ederlan is one of the use cases that will be implemented to validate the use of heat pipes in the aluminium processing. Fagor Ederlan aims to identify the way to reuse the waste heat and to design and validate the heat recovery solution for use case 1. Industrial Furnaces Insertec, S.L.U., is a leading company in the design and manufacture of industrial furnaces. It has production facilities in Mexico, Brazil, Italy, Russia and China, employing over 250 people. The company has an ongoing commitment to R&D, devoting substantial resources to developing international projects. For the ETEKINA project, Insertec will adapt the heat exchanger to the existing furnace model. Existing technology will be adjusted so the heat exchanger and furnace can work together to reduce energy consumption while keeping the final part characteristics. Econotherm (UK) Ltd is a manufacturer of patented industrial waste heat recovery equipment utilising heat pipe technology. The company focuses on hitherto difficult heat recovery applications not addressable by conventional equipment. As such the company’s strap line “recovering the irrecoverable” summarises the track record of recovering industrial waste heat that would otherwise remain unrecovered. The company has, in its over-8-year history, achieved several breakthroughs across a range of challenging heat recovery applications including high sulphur and acid exhausts, high particulate and high temperature. Specifically, Econotherm recovery units are now operating successfully on aluminium furnaces, ceramic tile kilns, heavy fuel oil-fired boilers and many other dirty and acidic exhaust streams. Econotherm’s patented superconductor heat pipe technology is used in a wide range of applications across many industrial sectors. The technology is renowned for being extremely robust and able to operate in many challenging heat recovery environments for the benefit of high energy users seeking to reduce ever-increasing energy costs. For the ETEKINA project Econotherm will manufacture the newly designed heat pipe systems (lab and full scale). It will also be working with the partners on installing and monitoring the systems in addition to any other activities in relevant work packages. Econotherm has successfully implemented heat recovery solutions in a range of applications previously considered not suitable for conventional equipment. Brunel University London has over 14,000 students and more than 1,000 academic staff operating in a vibrant culture of research excellence. 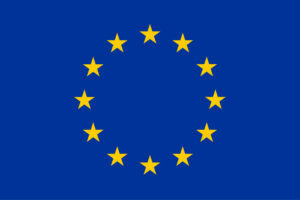 Brunel has a long history of successfully bidding for and managing EU projects. The research for ETEKINA will be coordinated by the thermal management and heat pipe research group that is led by Professor Hussam Jouhara in Brunel. This research group has a proven international track record in many areas of strength, including heat pipes, advanced refrigeration systems, waste heat recovery technologies, renewable energy harvesting as well as electronic thermal management. Accordingly, the thermal management and heat pipe research group possesses extensive state-of-the-art experimental and computational facilities that are well suited to supporting research projects in this area. Professor Hussam Jouhara is the scientific coordinator of the ETEKINA project, overlooking the activities that will lead to the demonstration of the heat pipe-based waste heat recovery systems in the three demo sites. In addition, Brunel University London will be the leader of WP3, which includes optimising the integration of heat pipes into the waste heat recovery systems and developing heat pipes that make optimal use of the waste heat streams and the available/required heat sinks. New designs will be generated and optimised using a combination of theoretical models laboratory testing. The university will also undertake the challenge of developing a methodology for using the waste heat recovery system based on the industry type and the required heat sinks. A range of designs, from steam generators/condensers to recuperators, will be evaluated based on the amount and quality of waste heat streams and the form of heat energy required. 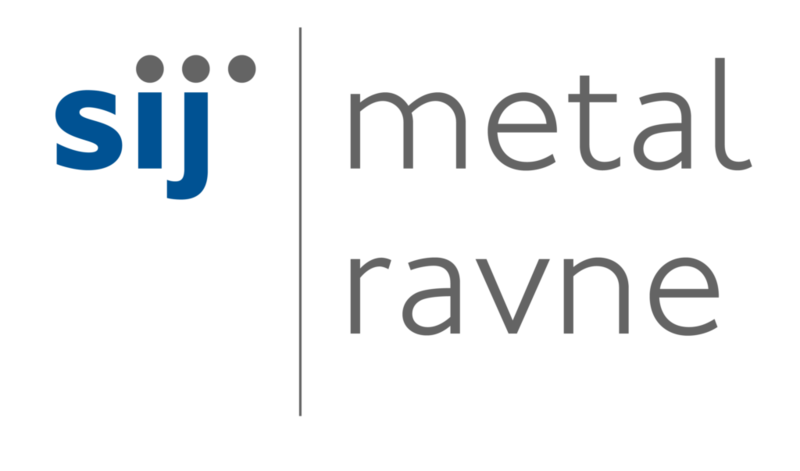 SIJ Metal Ravne Ltd is a part of the SIJ Group, the largest vertically integrated metallurgical group in Slovenia and a leading player in the European and global niche steel markets. SIJ Group ranks among the top 10 Slovenian business groups and top five Slovenian exporters. SIJ Metal Ravne offers a wide range of steel production: steel bars, forged, rolled, peeled and ground steels. The company seeks niche opportunities where it can deliver its specific skills and expertise for higher added value. The company continues to build its future by upgrading its technology. With its attitude towards the environment SIJ Metal Ravne was among the first in Slovenia to obtain the ISO 9001 quality certificate and the ISO 14000 certificate. Within the ETEKINA project, SIJ Metal Ravne has the opportunity to improve its own energy and environmental performance and consequently its overall competitiveness. It expects the project work to increase energy efficiency across the main production processes. It views this project as an important step towards complete replacement of traditional fuels for heating and hot water preparation with alternative energy sources, namely waste heat during the next five years. Additionally, the ETEKINA project is fully in line with SIJ Metal Ravne’s commitment to actively support the introduction of the most modern and cleanest technologies for the highest level of environmental protection. This project has high potential for replicability at other furnaces in our company and in other companies within the SIJ Group. The Jozef Stefan Institute is Slovenia’s main technology institute, complementing the role of universities and bridging the gap between science and applications. The main research objectives of the Jozef Stefan Institute – Energy Efficiency Centre (JSI/EEC) include the improvement of energy efficiency and reduction of greenhouse gas emissions in industry and other economic sectors. studying replicability for the new installation of technology within the company, and measuring flue gas and emissions. Ceramiche Atlas Concorde is a benchmark player in the ceramic tile industry. It provides high-performance and aesthetic ceramic solutions for every type of use. In its forty years of activity, Atlas Concorde has been synonymous with strength, ethics and reliability, with positive financial results. The firm has over 2,700 customers in more than 100 countries, a testimony to the trust it inspires. Atlas Concorde knows that ceramic industry is energy intensive, given that ceramic energy (mainly natural gas and power) has over the years come to be the third cost item. Against a global backdrop of rising energy prices and competition from producers using cheaper power, the Italian ceramic industry is now focusing on improving energy efficiency. In the last years Ceramiche Atlas Concorde has been carrying out several energy efficiency projects, mainly on revamping of ceramic machinery, installing new cogeneration plants or upgrading existing ones and waste recovery. A new approach is reusing the waste heat stream. Since it has interesting temperature potential, Ceramiche Atlas Concorde will investigate and demonstrate disposal of this energy, transferred to the dryer, leading to energy savings. Alongside ETEKINA partners, Atlas Concorde aims to solve corrosive and dusty characterisation problems associated with the kiln exhaust, and identify the appropriate thermal medium (oil, superheated water or other). The modifications to existing machinery will be supervised in order to successfully employ useful heat. Founded in 1176, the University of Modena and Reggio Emilia (UMR) is the third-oldest university in the world, and has been ranked among the first Italian universities for quality of teaching and research since 2007. UMR is a networked campus located in the towns of Modena and Reggio Emilia. It comprises about 20,000 students, 3,500 postgraduates, 900 faculty members, and 13 PhD schools. It has over 300 international exchanges and cooperation programmes. UMR will be involved through the Department of Sciences and Methods for Engineering (DISMI). The department’s activity consists of methodological and applied research, and education in various areas of engineering and basic sciences. The DISMI brings together professors and researchers with a wide range of international experience and knowledge. One of the DISMI’s main research areas is energy systems in terms of energy efficiency, thermo‐fluid dynamic analysis and economic assessment. Cogeneration and heat recovery applications are research topics of the researchers’ group involved in the ETEKINA project. In particular, the many numerical models and tools have recently been developed for evaluating the performance of combined heat and power (CHP) and the effects of heat recovery on the process in different cases, with emphasis on the ceramic industry. The role of UMR in the ETEKINA project will cover the definition of the effects on the actual kiln operation of the HP and the exploitation of the recovered heat on the selected heat sink. Different scenarios will be analysed and each solution will be checked for energy efficiency, return on investment and impact on the target process. The European Science Communication Institute (ESCI) is a not‐for‐profit organisation that empowers scientists and engineers, helping them to communicate to a non‐expert audience, thus bridging the gap between science, technology and society. As a truly European organisation, ESCI draws on key contributors from across the continent. Their senior science communicators work in France, Belgium, the UK and Germany. The European Science Communication Institute also enjoys close ties with science communication specialists in almost every EU country, which enables it to deliver locally adapted solutions in different languages. The ESCI team has experience in web, social media, print, audio‐visual and direct 1:1 communication to accomplish a successful mix of communication and dissemination activities. This includes measuring impact and adjusting the approach where necessary. ESCI believes that the success of a new technology lies not only in the technology itself, but also in how target groups learn about it. For the ETEKINA project, ESCI sees plenty of opportunities to use its creativity and expertise within a strong consortium for maximum leverage of the project’s potential. ESCI will lead the project’s communication and dissemination, liaising closely with the exploitation leader.